I am Nachanza Malambo, I am 34 years old and I live in Johannesburg and work in digital media. 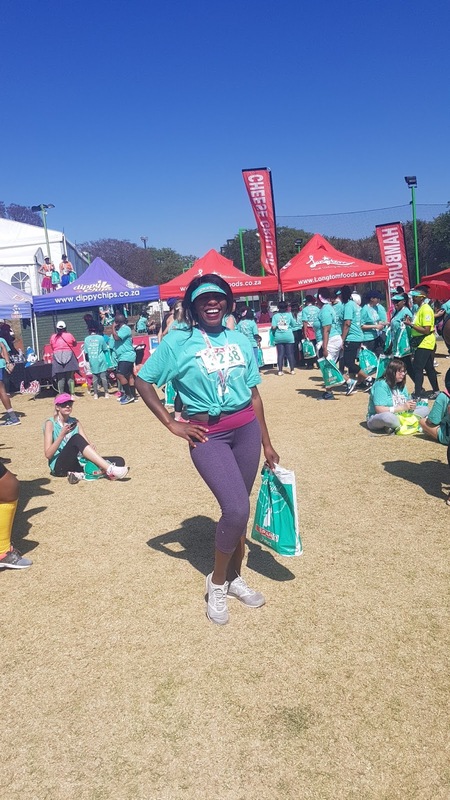 I work out 3 times a week at 6 am and run during the weekends with a local Northcliff club. I also do yoga once a week. I enjoy working out in the mornings as it leaves my mind fresh and I feel like have more hours in the day. My yoga sessions on Tuesday evenings are really great for stretching and relaxing after a weekend of exercising. I started running 3 years ago. I lived alone, was lonely and really wanted to get to meet people. I found a park run close to my home and would join them on Saturday mornings. After a nasty breakup - I had a personal trainer and increased my fitness goals to include strength, core and cardio. I used this time to lose weight and get my mind off negative thoughts. After 18 months, I achieved my goal to look like Serena Williams. 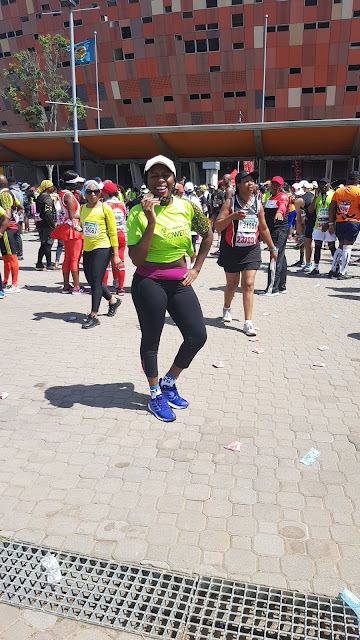 I returned to running and entered 5km fun runs to get medals and my passion for running increased. The thought that I would struggle to complete a basic 10km or walk up stairs, or hike keeps me going. I also easily gain weight and just thinking of gaining all the weight I have lost in the last 3 years pushes me to the road. I have peace of mind when I exercise - my thinking, my concentration, and my sleep patterns improve. I truly sleep like a baby after running. I run with a partner, and with a running club. I avoid running alone for safety reasons. 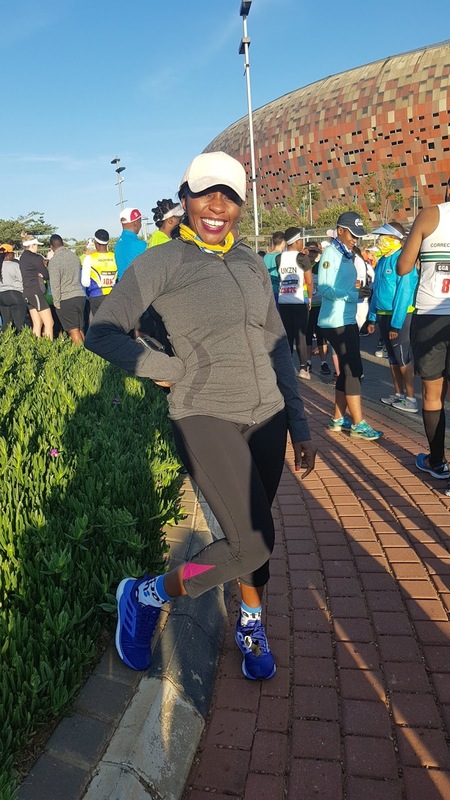 Lately I have learnt to run without any music to learnt to self motivate and listen to my body. Its quite sad. I have friends and acquaintances that would like to exercise but are lazy or non committal. Exercise aids to ones physical and emotional well being. A healthy body leads to a healthy mind - its true, trust me. 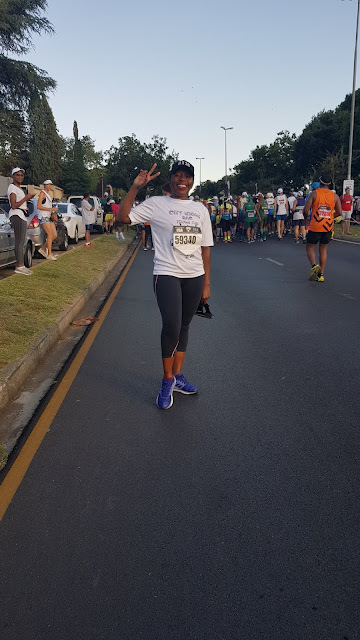 Running the Soweto 21km in November. I trained hard for that race, it was my 3rd 21km so I was well prepared. I also got in at the substitutions stage so I really felt lucky to have got in. It was my personal best of 2.47 and my fastest 13km. 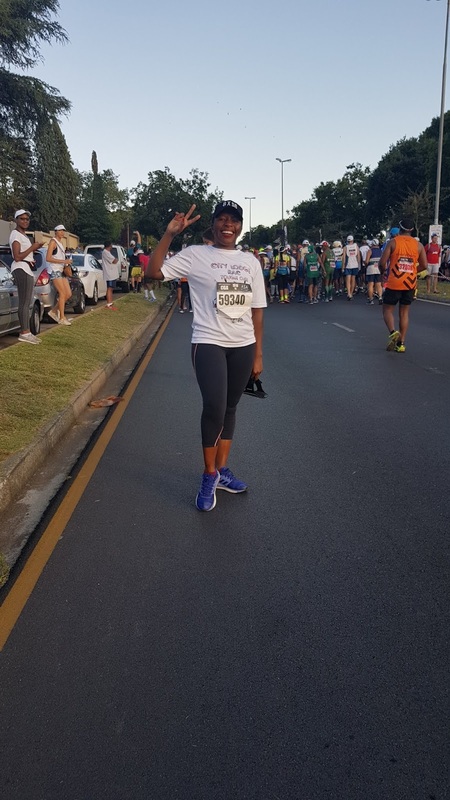 I had an injury at the Diepkloof half marathon in the 19th km and I couldn’t run anymore. 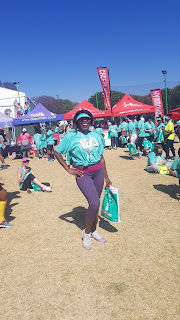 I felt feverish and had to hobble for the last 2kms. My partner walked with me and we made it just over 3 hours. I remember my motive for racing, beating my time, getting my medal. I have learnt to focus on other things - take my mind far and think happier thoughts. A good running mate also helps. Walk before you can run. Start small and gradually increase your distance and speed. Be consistent, have enough sleep, eat well. And cut down on alcohol at least prior to your exercise.